In 2014, I threw a hardtail in a van, drove to the alps and rode bike parks for a week. Over five days or so I emphatically and unavoidably ended up at peace with braking bumps, but despite some of the plushest forks I’ve ever ridden, it took months for my hands to stop tingling. I wasn’t in pain, but I did worry about long term damage. 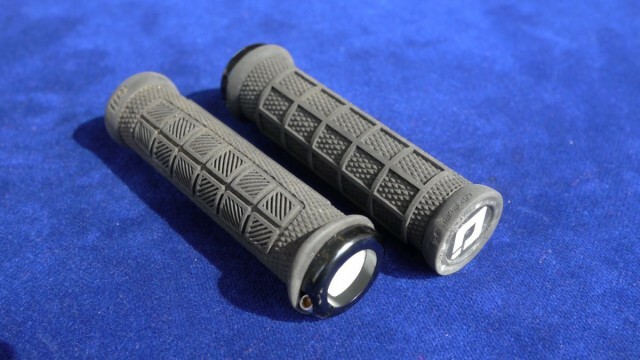 I wish I’d had these grips. 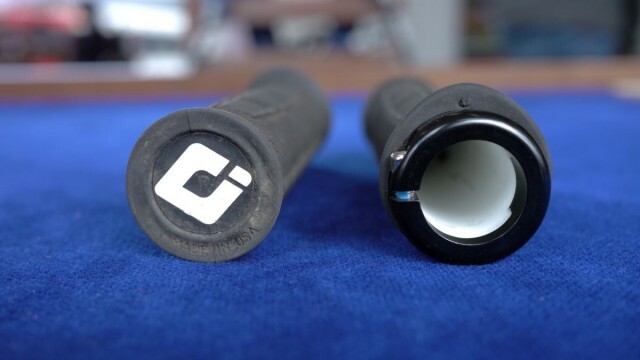 They’re a simple and, in retrospect, obvious idea: The inner and outer diameters of the grip aren’t concentric, giving them more padding on the top where you need it, and less on the bottom where you don’t. 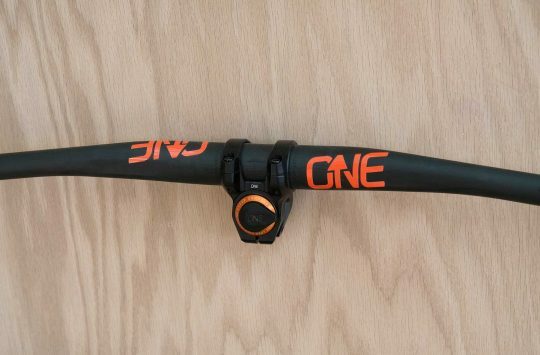 Technically, this creates a few more millimetres of rise on your bars, but unless you’re A) racing at pro level, or B) a highly pea-sensitised princess, you won’t be able to tell. Option A is probably debatable too. There are three types of ODI Elite Grip, with (from least to most) three thicknesses of padding: Motion, Flow, and Pro. 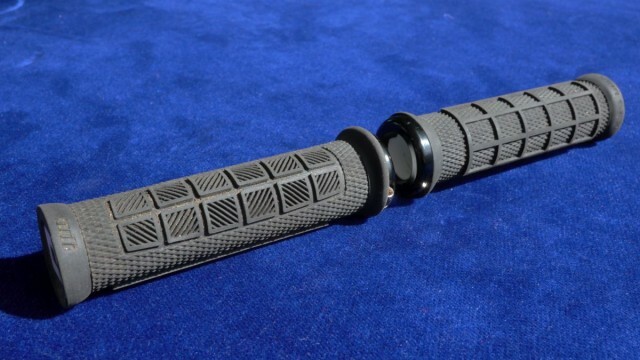 The Motion grips are straight and have a knurled pattern all over, the Flows add waffle lines on the underside of the grip plus a slight flange on the top, and the Pros take all of that and add soft cross hatched nodules to the top of the grip. I chose the Pros, due to the experience I mentioned above. The Motion and Flow models have small alignment marks on the end caps to show you exactly where most of the padding is. The Pros omit this because the grip pattern makes it obvious. The end caps on all three are fixed and rubber coated. It’s not the softest grip end I’ve felt, and it sticks up a bit, but it is softer than a locking cap or the like. If you tend to hang off the end of your bars in climbs, this is worth bearing in mind of your hands are sensitive to end caps – not me, but some riders I know find any kind of end cap really uncomfortable. 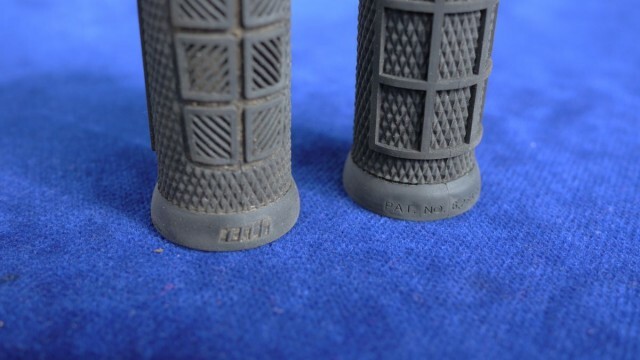 There’s only one lockring on the inner end of each grip, though the clamp has quite a lot of inner surface area and seems to be bonded to the grip. 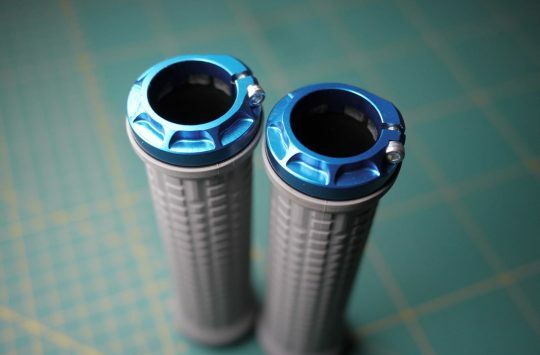 If you’re tightening them down to a carbon handlebar, you may want to add carbon paste or something if you’re worried about them spinning. Using them dry on aluminium bars, I’ve not had them rotate at all. They also seem much harder wearing than generic waffle design grips I’ve tried, which usually have rubber tags hanging off the bottom within weeks of use. This isn’t because they’re hard rubber either, the Pros are pretty squishy and probably have too much padding for people who like small grips. 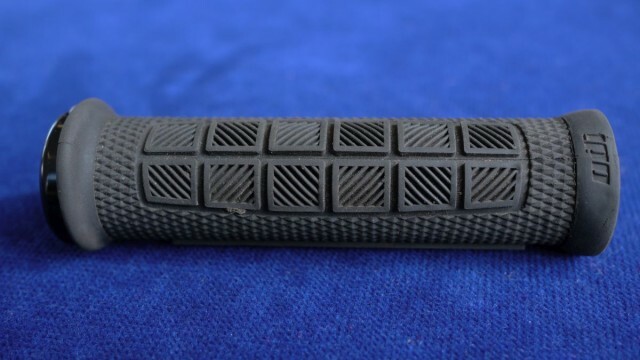 None of the waffle shows any signs of separating from the grip, though there are some signs of separation between the end cap and the grip material. Not such that it affects anything yet though: it seems to just be aesthetic and nothing moves or wobbles in ways it shouldn’t. 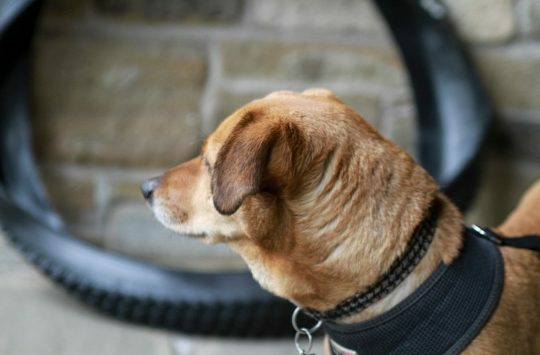 Overall: If your hands suffer with vibrations through your handlebars, these might not be the entire solution but they can help. I was already making modifications to my hardtail to try and reduce vibration, including some foam-filled bars designed to attenuate it. 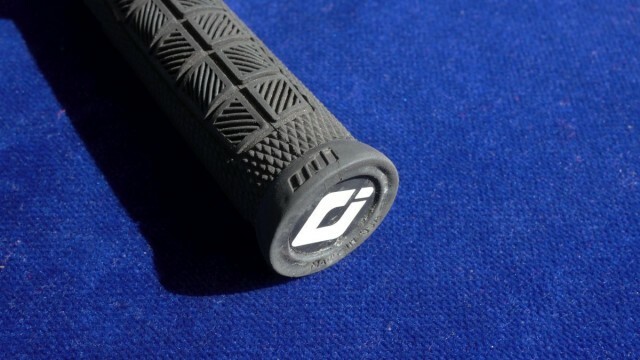 The ODI Elite Pro grips have made a welcome and noticeable difference to my comfort level though, particularly on long rides and rough descents. The Devil's Staircase - The West Highland Way In Snow! I use these on my Shan hardtail and have never suffered as i have done previously with tingling fingers…..so onto my Alpine 160 they have gone before i’ve even ridden it..